Why should I choose Vertikal’s proprietary maintenance service? Caring for a vertical garden requires a long term approach, similar to caring for a great bottle of wine; if done well they get better with time. If not then just like wine, they can quickly turn and spoil. Vertikal manages the ongoing maintenance and care of all of the majority of its projects via a national network of trained horticulturists, giving clients total peace of mind. 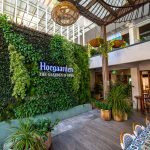 Before committing to the installation of a vertical garden it is imperative that one understands the importance of regular ongoing maintenance. Vertikal offer a proprietary maintenance service that uniquely, includes the cost of any and all replacement plants required. 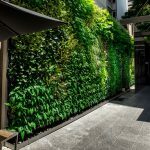 How much does it cost to maintain a vertical garden? For budgeting purposes Vertikal always recommend clients allow for approximately 15% of the total install cost per annum in ongoing maintenance. 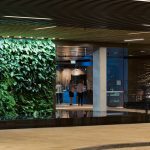 For example a $20k greenwall will cost around $3k per annum to maintain. This is based on 12 monthly visits per annum. 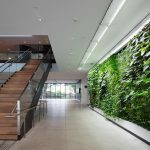 One of the key benefits of our patented “Skale” greenwall system is the ease of installation, and the lowered cost of ongoing maintenance. Comprising individual pots, species can be swapped out once pot bound, leggy or tired and simply replaced with a new plant. 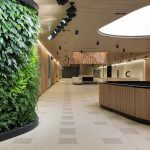 As vertical gardens are generally a showpiece of any project, the Vertikal maintenance program includes a total replacement of all plants within a 3 year period. This ensures all of our projects look stunning and vibrant – year in year out. seasonal refurbishments of plants (optional – additional cost). Vertikal gardens are often a centrepiece of public space. So just as people will notice the vibrancy and health of the plants in your wall garden, they will also quickly pick up one that is discoloured through ill health or natural shedding. And one way or the other, will form an opinion. Get in touch with the Vertikal team today.